Made the long drive out to Lake Havasu in Western Arizona from Phoenix with Pierre Deviche and Eyal Shochat. We spent much of the day scouting various view points (mostly in the Havasu City area) for a previously reported Yellow-billed Loon present since late January. The day was above and beyond expectation. 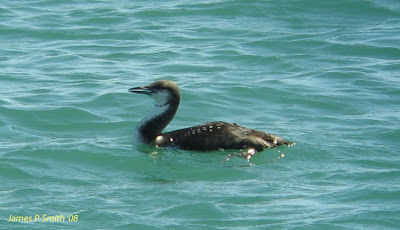 Not only did we eventually locate the Yellow-billed Loon (south of Pittsburg Point) but also saw Common, Pacific and Red-throated Loons during the course of the day. We also tallied some five species of grebe (including Clark's and Horned), plus Redhead, Canvasbacks, Ross's Goose, California Gulls and 4 Greater Scaup just below Parker Dam. 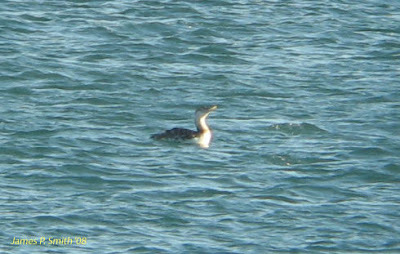 Yellow-billed Loon - upper three shots. 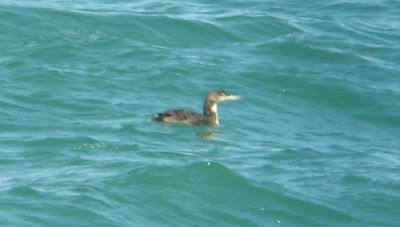 Very distant, seen from Arizona but in California waters when these shots were taken. Found late in the day, around 5:30 pm, when we'd just about set sail for home. 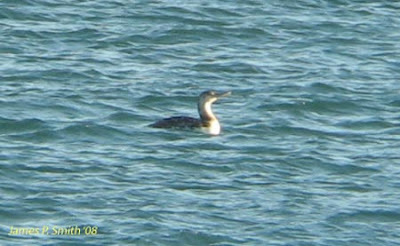 Pacific Loon - winter adult, close to shore at Site Six. 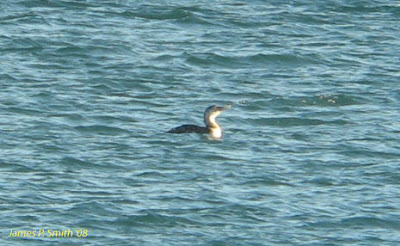 Red-throated Loon - distant record shot taken from Site Six. 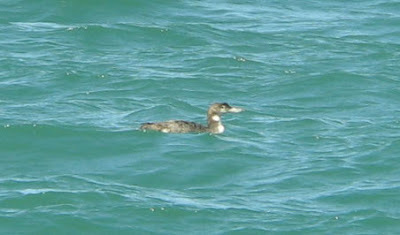 This bird is in California waters with the CA shore in the background. 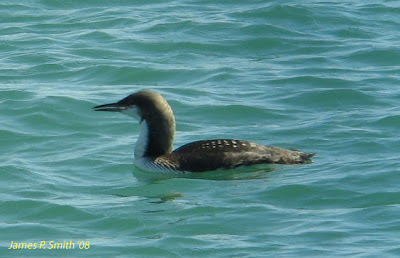 Common Loon - this worn and rather pale-billed Common Loon was a point of discussion in the middle of the day. Eventually gave itself up and revealed a dark culman and bill tip. 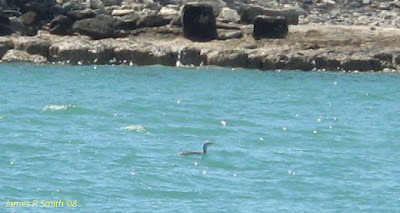 A further eight or so Common Loons were seen during the day.